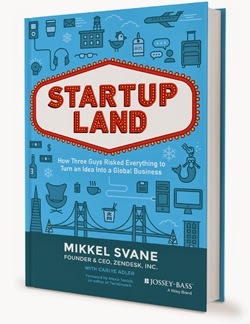 Yesterday I posted a brief review of Mikkel’s excellent book “Startupland”. For me, the book is also a good opportunity for some reflections and to share some thoughts in relation to Zendesk’s journey. When I stumbled on Zendesk in 2008 I knew absolutely nothing about enterprise software, B2B or SaaS. I had always been a consumer Internet guy, having founded comparison shopping engine DealPilot.com back in 1997 and personalized homepage Pageflakes in 2005. If Zendesk’s website hadn’t been so beautiful and if the product hadn’t been so easy to try and use, Zendesk would never have caught my attention (and I wouldn’t be writing this post now). The nice little buddha, the logo/brand and the tone of voice of the site also helped, massively. Interestingly, if I had been an enterprise software investor, Zendesk probably wouldn’t have caught my attention either, since the website didn’t look like a typical enterprise software website at all. Today the “consumerization of the enterprise” has become mainstream, but in 2008 it wasn’t. Apparently you had to be a consumer Internet entrepreneur looking for the next big thing on the Web in order to stumble on and be attracted by Zendesk. This characteristic – not being a consumer Internet startup but not being a classical enterprise software company either – has probably contributed to our difficulty raising a Series A later on, but more on that later. 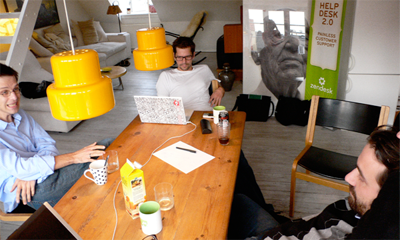 So when Mikkel and I met for the first time, I knew nothing about SaaS and probably asked a lot of dumb questions. At that I also knew nothing about inbound marketing and customer success – topics which are now near and dear to my heart for some years – and I was somewhat puzzled when Mikkel explained to me how they’ve been getting customers. I was worried that the inbound marketing plus customer success (at that time, called “customer advocacy”) approach wouldn’t scale and thought that they’d have to do outbound sales soon to keep growing. That turned out to be epically wrong: Zendesk grew to 10,000 paying customers before starting to build a real sales team, and up until this day, the vast majority of customers come from organic sources. There was a good vibe between us, even though we were extremely different. […] Ultimately, I think we recognized that we were a good balance for one another. Following our first meeting, we very quickly concluded that it would make sense to work together, agreed on the terms, and voilà, a six-figure dollar amount changed hands. I was excited, but it was also a little bit scary because it was my first angel investment (aside from a few small investments that I had made many years earlier). I didn’t have a diversified portfolio, and I didn’t know if I’d ever have one because I had no idea when I’d make my second investment. I didn’t have deal-flow, and I’m not even sure if I knew the term deal-flow. We now had a new direction. The investment from this seed round inspired a new mindset and created a big change in pace. Christoph helped us with a business plan and helped us build out what would be the first attempt at describing the financial model of our business. [...] He helped us think about scale—and about the possibilities. The seed round, including the friends & family investments and my own investment, was only $500,000 though. It was enough for the founders to take a modest paycheck and to hire a few people, but it was clear that we’d need a much larger round soon. That’s when things started to become worrisome for me, since it quickly became clear that raising a Series A round would be very difficult. This was the first part. Part two coming soon. As some of you may know, my friend Mikkel, founder and CEO of Zendesk, wrote a book. It’s called “Startupland: How Three Guys Risked Everything to Turn an Idea into a Global Business” and you can learn more about it here. The hardcover version will be released in about two weeks, but the Kindle version just became available on Amazon and I was lucky enough to get my hands on a draft a few weeks ago. The book is a well-written and very personal look back at Zendesk’s amazing success story, which began in a loft in Copenhagen and culminated in the company’s Wall Street IPO earlier this year. It’s both autobiography and “tips & tricks" guide: First and foremost it’s a suspenseful chronicle of the journey of Mikkel and his co-founders Alex and Morten that lets you witness some of the many ups and downs which startupland has in store for entrepreneurs, but it also contains a lot of actionable advice for other founders. It’s an entertaining read, too, and as someone who was fortunate enough to have played a small role in Zendesk’s beginnings, reading about those early days put a smile on my face many times. In some cases, it also made me laugh out loud, e.g. when Mikkel writes about my conversation with Michael Arrington. One of the reasons why "Startupland" is such a great read is that it’s honest and humble. When other authors write things like “I didn’t know anything about XYZ” it often feels like fishing for compliments. When Mikkel writes it, you know that he really means it that way. I highly recommend the book to any startup founder, and in particular to all founders from Europe who consider making the move to the US. By now you’re probably sick of my infamous animal analogies. Sorry. But I just love them and want to resort to them one more time. :) Namely, what I want to talk about are deers that can morph into elephants, or more generally, smaller animals that can morph into bigger animals. (1) In other words, I want to talk about account expansions, which are the result of a successful “land and expand” strategy. Yammer is a classic example. Typically a small team in a company starts to use Yammer for internal communication. Then they add more and more people, usage might spills over to other teams or departments, and eventually Yammer’s sales team can come in and upsell the customer to an enterprise account. It’s hard to imagine a hotter, more qualified lead than a company where dozens or hundreds of people are using your product already! Dropbox is similar, but the difference is that you can start using Dropbox even as single user. Plus, they have another great growth vector, since people keep adding more and more files to their file storage. EchoSign: In this Quora post, EchoSign founder Jason M. Lemkin (one of the top SaaS experts and our co-investor in Algolia and Front) describes how EchoSign grew many departmental deployments into large, six-figure accounts over time (he also gives you the caveats). Another way to get bigger and bigger accounts over time is of course to target startups and grow with your customers. Zendesk is extremely successful at employing land-and-expand strategies, but the company has also been fortunate enough to acquire customers such as Twitter, Uber and many others when they were still pretty small. If your land-and-expand strategy works so well that your account expansions offset churn, then your MRR churn rate becomes negative – a state which I’ve previously described as the holy grail of SaaS. It’s hard to overstate how transformative this can be to a SaaS company. Think about it: Negative MRR churn means that even if you’re not growing, you’re still growing. More precisely, even if you stopped acquiring new customers tomorrow your recurring revenue would still continue to grow. (1) If you have no idea what I'm talking about, please read this post. (2) And yet, I have the impression that this metric hasn’t fully arrived in the world of financial analysts and accountants yet. There doesn’t yet seem to be a standard way of reporting it – every company defines the metric a little different, and some aren’t reporting it at all. It seems like my recent post about five ways to build a $100 million business resonated very well with a lot of people. I also got some really good comments and suggestions, and so I'd like to follow-up with another post on the topic. A reader by the name of "Vonsydow" commented that another way to get to $100 million is by having 100 customers, each paying you $1 million per year, and mentioned Veeva as an example. True! Veeva's ACV is around $780,000. That's almost an order of magnitude higher than the $100,000 ACV of the "elephants" category, so it's a different kind of animal. I'd suggest that we call Veeva's customers Brontosaurus (or Apatosaurus, which seems to be the correct name) but I'm open to other suggestions by people who know more about biology (or paleontology) than me. Interestingly, it seems like there are only two Brontosaurus hunters in the SaaS world, Veeva and Workday*. 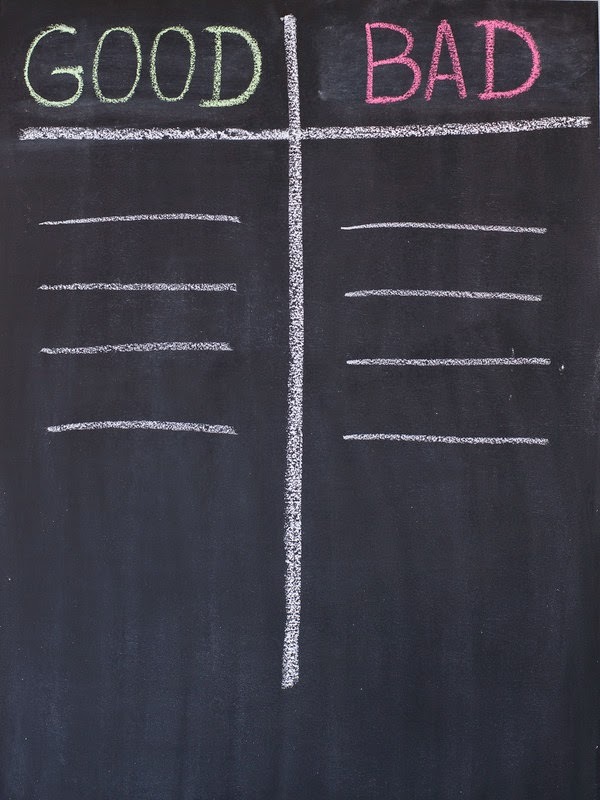 What does that mean for SaaS entrepreneurs? Take a look at the backgrounds of the founders of Veeva and the founders of Workday. If your background looks similar – 20+ years of experience selling enterprise software, domain expertise and an extremely strong network in your target industry – get into the Brontosaurus hunting business. If you don't have a background like this, I think it's likely that you're better off starting with smaller animals (but I'd be happy to be proven wrong!). Whale hunting is not the best topic for jokes, but if you know me (who has become a vegetarian a few years ago) you know that I can only mean this figuratively. And the category that I'm going to talk about now just has to be named after the blue whale, the largest animal ever known to have lived on Earth. I'm talking about companies with an ACV of $10 million. If you can sell a SaaS solution at an ARPA of $10 million per year, you need only ten customers and bada-bing, you've got a unicorn. Does that make it easy? Of course not. I'm aware of only one SaaS company which might have an ACV in the neighborhood of $10 million: Palantir, as pointed out by Jindou Lee. In his excellent book "Zero to One", Peter Thiel writes that Palantir's "deal sizes range from $1 million to $100 million". I don't know if these amounts refer to the price of an annual subscription and I don't know which part of it is non-SaaS revenue, but it sounds like Palantir's ACV could be in the $10 million ballpark. Either way, the conclusion along the lines of the conclusion of the Brontosaurus category is: If you're Peter Thiel, hunt whales. If not, chances are that you should start at a lower end of the market. I'd like to add another species at the other end of the spectrum, too. Jeff Judge pointed out that WhatsApp monetizes its users at about $0.06-$0.07 per active user per year. That means that even if Facebook increases monetization by a factor of ~15 (which I'm sure they can do if they want to) and reaches $1 per active user per year, that's still an order of magnitude below the $10 per active user per year that I've described in the "flies" category, so another category is justified: microbes. If you're making only $1 per active user per year, you need 100 million active users to build a $100 million business. That means you'll need hundreds of millions of downloads or signups, which requires an insanely high viral coefficient. If it happens, awesome, but hard to bet on it in advance. The y-axis shows the average revenue per account (ARPA) per year. In the x-axis you can see how many customers you need, for a given ARPA, to get to $100 million in annual revenues. Both axes use a logarithmic scale. PS: One of my best childhood friends saw my post, and I don't want to withhold from you what he wrote me: "Mathematically, there are many more ways to build a $100 million business. The easiest one is to start with a $200 million business and lose $100 million". * Salesforce.com has a number of Brontosaurus as well as some whale customers. As far as I know, with few exceptions these customers were acquired at a time when Salesforce.com was a $100 million business already. 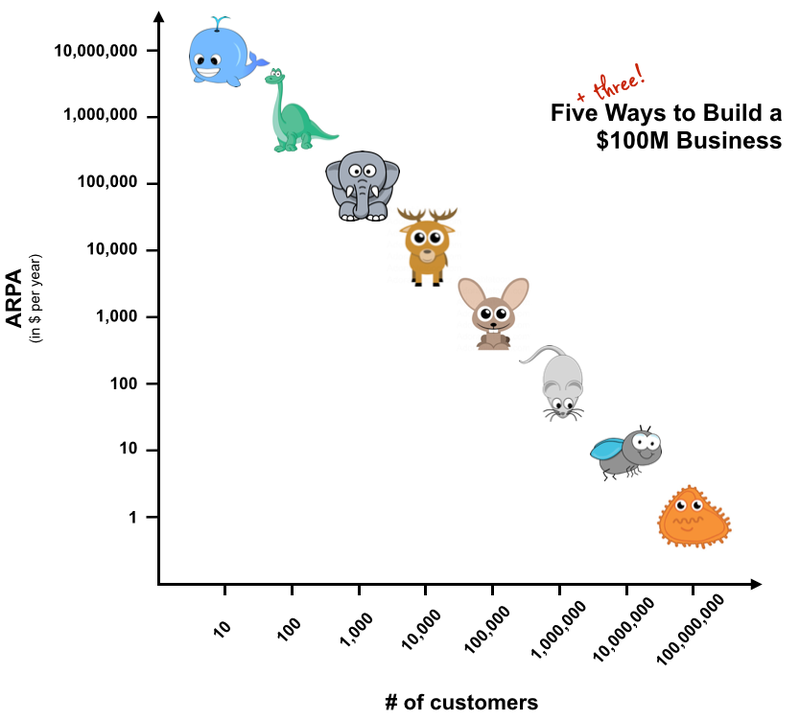 Since this post is focused on ways to build a $100 million business in the first place, I haven't included Salesforce.com in the Brontosaurus and whale category.